I’ll be honest, my kids don’t need more drink bottles. But… who can resist a Lego man, especially when he’s carrying your water?! 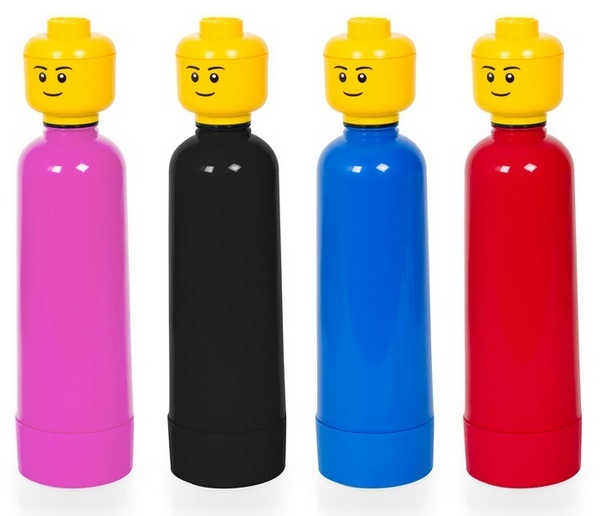 These cool Lego Drinking Bottles will be popular with the playground crowd. Available in four glossy colours, the plastic bottles are phtalate and bisphenol free. Lego Drinking Bottles are £9.99 and are available from Firebox. Firebox ship to Australia. Need more Lego? Check out our previous posts here.